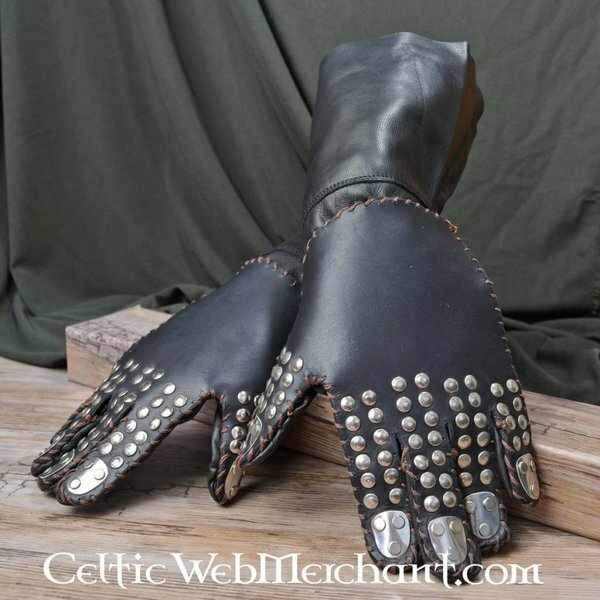 Leather gloves with steel plates on the joints of the fingers. 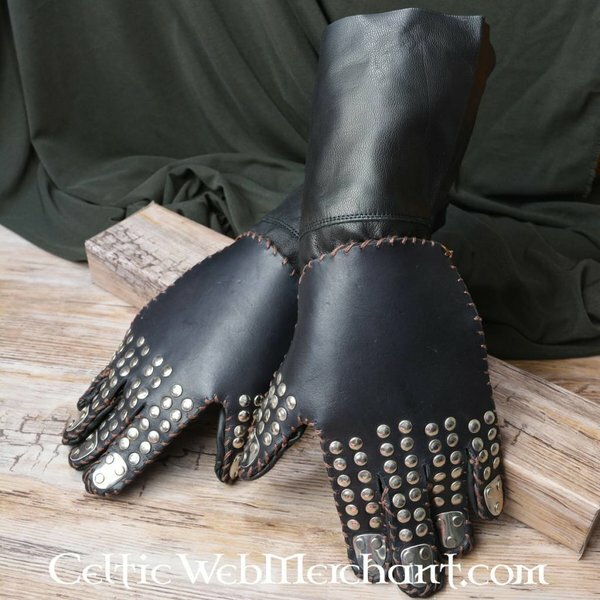 These gloves are made for re-enactment fighting and martial arts. 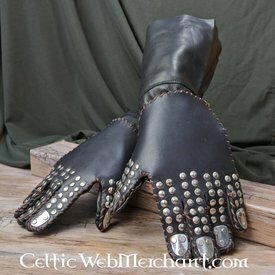 These gloves are made of thick leather. 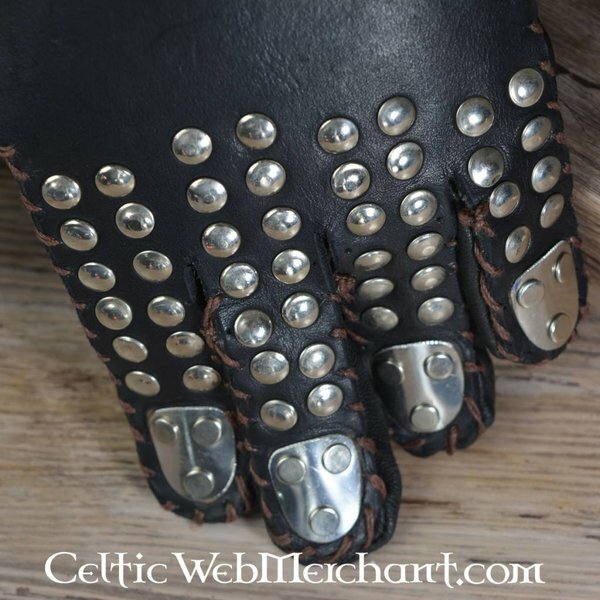 The fingers have extra small steel plates for extra security. 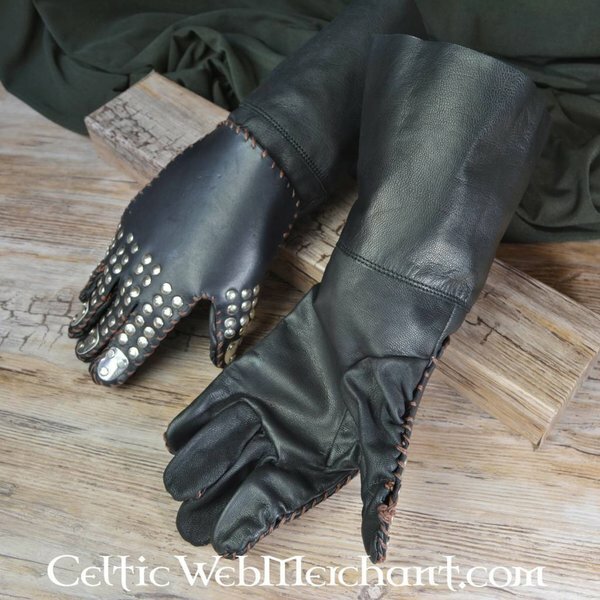 The gloves are available in black or brown leather in the sizes 7, 8, 9 or 10. Please see the drop down menus above. Size 7 is for a knuckle circumference of 19-22 cm, size 8 for a knuckle circumference of 22-24 cm, size 9 for a knuckle circumference of 24-27 cm and size 10 for a knuckle circumference of 27-30 cm (measured around the knuckles of the index finger, middle finger, ring finger and pink under the fingers).